Shares of wearable fitness device manufacturer Fitbit experienced a substantial drop in the first half of the week following the announcement that the company’s earnings per share would be less than 10 percent of what had previously been expected. The stock was already holding at a depressed point following a severe drop from its high last summer. Following a Monday closing at $16.49 (£11.85), shares of Fitbit (NYSE: FIT) dropped off to $13.75 (£9.88) after opening on Tuesday morning. A more gradual but consistent decline pushed the stock to $12.32 (£8.85) by the end of trading on Wednesday. The reason for the selloff has been the announcement that despite posting favorable earnings in the last quarter, Fitbit expects its earnings for the first quarter of 2016 to be only $420-440 (£301-316) million, yielding an adjusted earning of just $.02 (£.01) or less per share. This was in stark contrast to previous analytical predictions that set earnings expectations as high as $0.23 (£.17) per share. This is not the first difficulty that the tech company has had to endure in recent months. Since reaching a high of $51.64 (£37.1) per share in early August of 2015, the stock has steadily lost ground to arrive at its current price range. A large part of this loss has been attributed to the lack of investor confidence in physical product manufacturers in the tech world. Despite stock concerns, however, Fitbit has continued to produce positive revenue results, bringing in over $700 (£503) million in the fourth quarter of 2015. Similarly, the reason for the stock price drop in the first half of this week has not been entirely negative. Though poorer first quarter revenues and earnings per share are projected, the reason given by Fitbit is a product transition, rather than an actual decrease in sales. According to CFO William Zerella, the decreased earnings will be caused by the revenue delay involved with phasing out Fitbit’s Charge model and replacing it with the newly released Alta and Blaze models, as well as the expense incurred by promoting the new products to the general public. 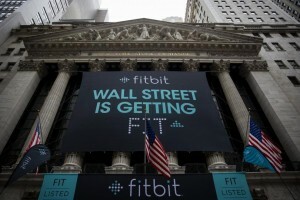 As an investment, Fitbit offers advantages to risk-tolerant investors. Being a tech stock in a volatile market, the company is likely far too unstable for more conservative investors. Owing to its low pricing, optimistic future projections and past performance, it is at least worth consideration for an investor looking for a higher-risk opportunity. Like many other companies involved in the production of luxury and non-essential goods, Fitbit may also stand to benefit from projected consumer gasoline savings during 2016.